Last October, recreational marijuana became legal in Canada. But concerns remain about the impact on the health of young people in particular. Experts say a new set of guidelines published recently in the American Journal of Public Health might help lower the risk. Researchers from Canada, the Netherlands and Australia looked at studies that focused on adverse health effects from recreational use of marijuana and came up with recommendations on how to lower the risk. They deliberately excluded studies involving patients on medical marijuana. The researchers concluded that abstinence is most effective way to avoid health problems. Failing that, the researchers found that daily or near-daily use of marijuana is a strong predictor of mental health problems, heart problems, motor vehicle collisions, and thoughts of suicide. They also found evidence that frequent use is linked to changes in the brain and can impair cognitive abilities like memory and executive function. They said the surest way to avoid these effects is to limit use of cannabis to once a week. The researchers also concluded that the type of marijuana consumed can affect the risk. In general, marijuana products have shown a steady increase in the levels of tetrahydrocannabinol or THC. In the past, marijuana may have contained five or 10 per cent THC. Now, it's more like 20 to 25 per cent. High THC levels increase the risk of mental health problems and dependence. A study in the United Kingdom found that high levels of THC tripled the risk of psychosis disorder and marijuana-induced psychosis in young people with no psychiatric history. High THC content has been associated with more marked effects on memory. The guidelines recommend that users know the THC content of the marijuana products they use and to choose products that are low in THC. More recently, synthetic marijuana products such as Spice and K2 have become available with concentrations as high as 80 or 90 per cent. Synthetic marijuana has been associated with acute delirium, psychosis, anxiety, strokes, seizures, heart attacks, and even death. The guidelines recommend that users stay away from synthetic products. Smoking remains the most frequent way of using marijuana. The risks of smoking include coughing, phlegm, wheezing, bronchitis, shortness of breath and impaired respiratory function. These can happen with smoking low-strength marijuana, but the effects go away when you stop smoking. Some studies have suggested an increased risk of emphysema and even lung cancer, but the evidence is weak. Bongs or water pipes reduce the inhalation of burnt particles but increase other risks. Still, the guidelines say it's generally preferable to avoid smoking combusted marijuana by using vaporizers or edibles. The guidelines also strongly discourage high-risk practices like deep inhalation, breath holding or performing the Valsalva maneuver (bearing down while holding one's breath) when smoking marijuana. These practices disproportionately increase the risk of toxic material getting into the lungs. The researchers found substantial evidence that driving while impaired from marijuana is associated with an increased risk of motor vehicle collisions. Not surprisingly, the guidelines state that users should categorically refrain from driving or operating other machinery or mobility devices for at least six hours after using marijuana. The guidelines add that depending on the user and the properties of the specific product used, the wait time may need to be longer. The use of both marijuana and alcohol should be avoided because the combination multiplies the risk of impairment. In jurisdictions where driving while impaired laws are stricter than these guidelines, the law takes precedence. As well, people at higher risk of adverse effects should refrain from using marijuana. They include those with a strong family history of psychosis or substance use. They also recommend that pregnant women avoid using marijuana. In an email, Benedikt Fischer, the lead author of the guidelines and one of Canada's leading authorities on drug use, said he and his colleagues have been working with the Public Health Agency of Canada and other leading national stakeholder organizations to disseminate the guidelines as broadly as possible. 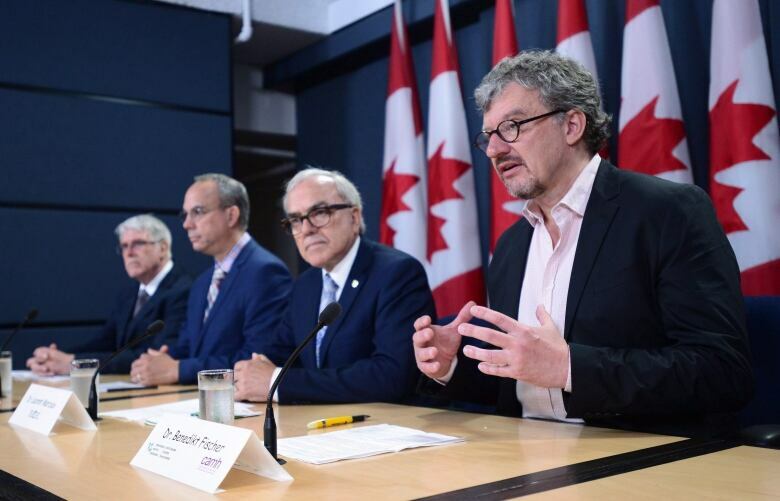 In particular, he said that Canada's Chief Public Health Officer Dr. Theresa Tam has "actively embraced, launched and promoted the guidelines" along with Fischer and his colleagues. Their view, now that recreational marijuana use is legal, is that Canada needs to move away from what Fischer refers to as "the simplistic binary" that sees marijuana as good or bad and therefore to be used or avoided. He says the guidelines help shift the conversation to "a public health paradigm" in which users know the risks and are given advice on how to manage them. The Centre for Addiction and Mental Health has published a summary of the 10 recommendations aimed at the general public.